#CaseConfessions on Instagram - What are you Hiding in Your Instrument Case? 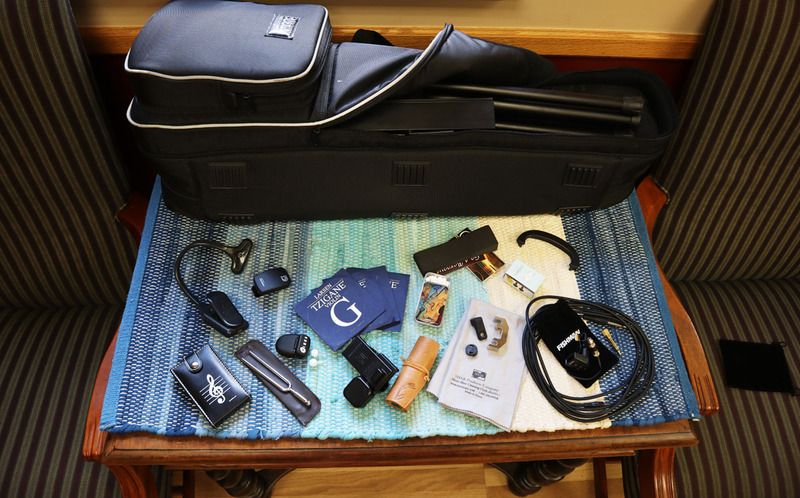 Five years ago SHAR asked people to send in their #caseconfessions photos, showing everything in your case except the instrument and bow - old rosin and cleaning cloths, tuners, random toys, photos, and whatever else you need with you and your instrument to survive! You can see some of those photos in that blog from 2013! Now we are kicking off #caseconfessions again, but this time on Instagram! So, take this opportunity to vacuum out that rosin dust, finally remove that old photo of your ex, and show us the deepest darkest secrets from inside of your case! Just post to Instagram (or Facebook or Twitter if you don't have it) the contents of your case, use the #caseconfessions hashtag and tag us! So, we look forward to seeing your posts on Instagram! Don't forget to tag @sharviolinshop and use the #caseconfessions hashtag! (@SHAR_music on Twitter and @sharmusic on Facebook).